Sleep Apnea seems to be the diagnosis du jour over the recent past as I speak to someone that’s been diagnosed almost everyday. While Apnea is defined as the cessation of breathing, I’ve never heard of anyone dying of it in their sleep. But it can still cause a problem if you want life insurance and have sleep apnea since it has been linked to hypertension, cardiovascular disease, obesity, motor vehicle accidents and even some cancers. Some reports show average life expectancy for people diagnosed with Obstructive Sleep Apnea (OSA) under the age of 50, can be reduced by 8 to 18 years. Carrie Fisher, James Gandolfini, John Candy and Jerry Garcia are celebrities that apparently died due to health problems related to sleep apnea according to sleepapnea.org. So is it really the sleep apnea that’s the cause of death, or other issues that are common to people with sleep apnea…like being overweight, having diabetes, heart disease, etc.? I don’t know the answer, but I do know that sleep apnea can be an underwriting concern. 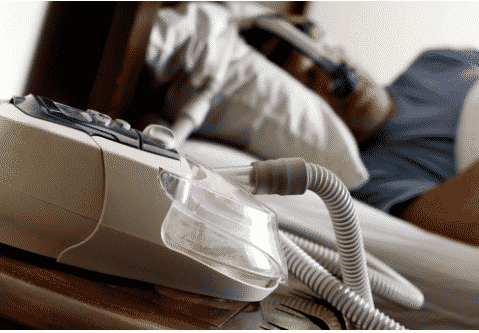 Do you know if you were diagnosed with Obstructive or Central sleep apnea or was it Mixed? Do you recall if your sleep apnea was mild, moderate or severe based on your sleep study and number of apnea’s per hour? How are you treated, with CPAP or BiPAP and do you use it nightly or were you treated with surgery or other means? Are you compliant with the recommended treatment? Many insurance companies will rate you higher if diagnosed less than 1 year ago…as they want to make sure you’re compliant with treatment and medical records verify this. Most cases we see are Obstructive Sleep Apnea cases. Central Sleep Apnea or mixed sleep apnea can be underwritten more harshly than OSA since CSA is associated with more significant disorders such as cervical spine disorders, congestive heart failure and kidney failure. People with mild and moderate OSA tend to get the best offers, especially when their health is decent otherwise. The underwriters always want to see in medical records that you are using the recommended treatment regularly, and we’ve even had underwriters request the CPAP history report on severe cases or when medical records show that patient has not been compliant with treatment. Is Your Apnea Mild, Moderate or Severe? The severity of sleep apnea is generally determined by the Apnea Index (AI), the Apnea-Hypopnea Index (AHI), the respiratory disturbance index (RDI), and the oxygen saturation level. An apnea is a period of cessation of breathing, and a hypopnea is a period of shallow breathing or low respiratory rate. Respiratory disturbance is the average number of respiratory disturbances (i.e. obstructive apneas, hypopneas, and respiratory related arousals) per hour. If you have mild sleep apnea, the AI is generally between 5 and 20, the AHI or RDI would show 10 to 30 apneas, hypopneas, and/or respiratory arousals per hour, and oxygen saturation would be greater than 80% on sleep study. If you have moderate sleep apnea, the AI is generally between 21 and 40, the AHI or RDI would show 31 to 50 per hour, and oxygen saturation would be between 60% to 80%. If your sleep study shows that you have more severe sleep apnea, then you have an AI greater than 40, an AHI or RDI greater than 50, and oxygen saturation of less than 60%. If you have mild sleep apnea and your overall health and height/weight are good otherwise, then you could qualify for “Preferred Plus” or “Preferred” rates with some of the really aggressive insurance companies. If you have moderate sleep apnea and your overall health and height/weight are good otherwise, then you could qualify for “Preferred” or “Regular Plus” rates with some of the better insurance companies for sleep apnea. For severe sleep apnea, “Regular” or Standard rates are usually going to be best case scenario rates. Some insurance companies will rate you or charge you a higher than Regular rate for severe sleep apnea. It is also possible that you could be declined for life insurance by some insurance companies if you have severe sleep apnea. If your severe sleep apnea has been well controlled for one or two years with a new sleep study that shows it’s under very good control, then you may be able to get a “Regular Plus” or possibly even a Preferred life insurance rate with a couple insurance companies if your overall health and height/weight are really good otherwise. Apply or re-apply 1 year after diagnosis and date that you started treatment. Make sure that it’s clear in your medical records that you’re compliant with treatment! If you’re overweight, try to lose weight prior to applying for life insurance. If you have severe sleep apnea, make sure you’ve used your CPAP or BiPAP every night for previous 30 days in case the insurance underwriter requests a print out of your CPAP or BiPAP usage data report. If you’re going to have insurance exam, eat really well for as long as possible prior to exam so that your lab results, blood pressure, weight and everything else is as good as can be. Make sure your agent can offer you insurance from lots of different insurance companies as offers can vary greatly from company to company. If you’re denied life insurance due to sleep apnea alone, don’t worry as there should be other insurance companies that will make you an offer. First thing to find out is exactly why you were declined and then try to correct the issue. If you’re not compliant with sleep apnea treatment, get compliant. If you’re overweight, lose weight. You may have to wait 3 months, 6 months or longer to qualify or to qualify for a better rate…but keep in mind you can always cancel any life insurance policy at anytime that a better offer becomes available. Getting a preferred plus or preferred rate is tough for any sleep apnea cases, but we’ve done it numerous times. For most mild to moderate sleep apnea cases for which the person is in good health otherwise, then Preferred rates are possible. If you do have sleep apnea and you’re overweight or if you have other issues, then getting a Regular or Standard rate may be your best offer or it’s possible you could even be rated. We’d be happy to gather all of your medical information and medical records and shop your case to get you the best rate and value!! You can use the green “Instant Quoter” on the upper right hand side of this page to get instant quotes and to see some of the best term or permanent life insurance rates available to you. We will need to get the information in the “Accurate Sleep Apnea Insurance Quote” link directly below to provide you with accurate quotes. Please also feel free to call us at 1-800-380-3533 or click here to email us if you have questions, need more information or if you would like to obtain the best life insurance rate and value with sleep apnea.